For decades, Metropolitan College Of New York (MCNY) has been the foremost educator of the city's Non-Traditional student population. With the opening of a new campus in the Bronx, increased competition threatened long-term success. 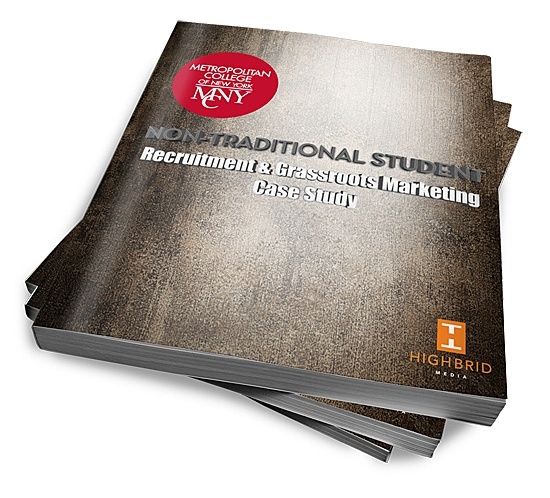 In this case study, learn how Highbrid used a fully-integrated strategy to increase the college's enrollment rate by increasing foot traffic by 79%!